I was on the ‘other’ Atelier site yesterday and there are no prices. Grrr. I wanted to compare the show price with the original to see how much a saving we did/didn’t make. 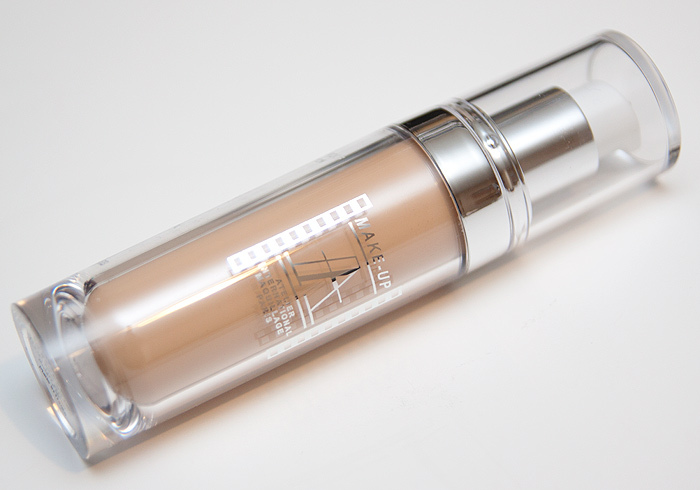 I tried the Make up Atalier Paris Foundation after I’d bought my Face Atalier. The product felt nice and the price was amzing in comparison. I would have bought some too, but I wasn’t happy withthe colour match, and when the asstants ability to match me either. I look forward to hearing your thoughts. Gutted to just realise I missed the last 2 days comps in the hecticness of it all. 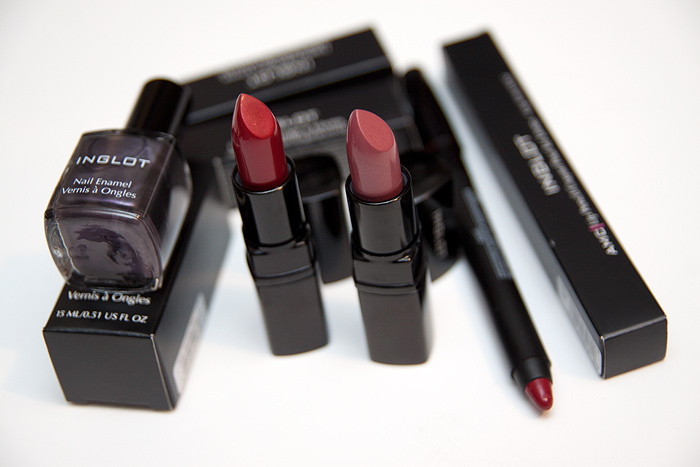 Hi Charlotte, would love to see your OCC Lip Tar collection/swatches. Thanks! Nice haul! I didn’t get there so I look forward to all your swatches and reviews. Inglot polish and lips first please! Then the MUFE highligher. Thanks! All products you have bought look gorgeous. I hope you will not be disappointed with any of them. 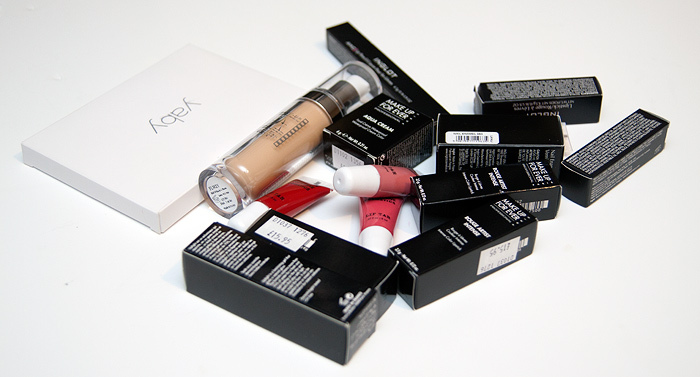 Could you please review Inglot and MUFE products. Love your colour choice. Oooooh! I’m loving everything you got! Lovely haul, Charlotte! I’m so jealous 😉 Can’t wait for the reviews! 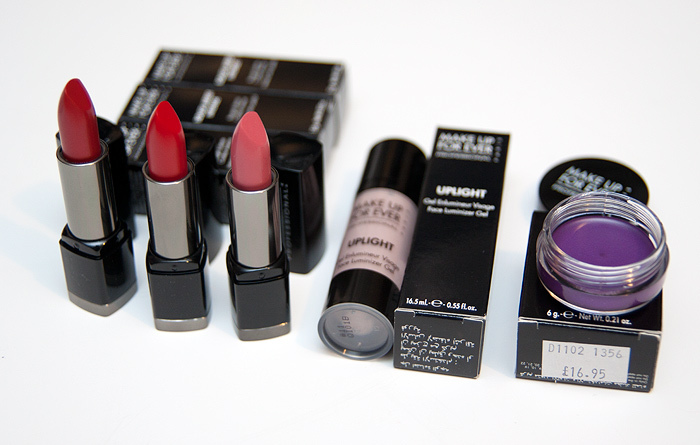 Would love to see the MUFE lipsticks, they look really good! Such lovely goodies! Can’t wait to see the lip tars, I need to get myself some, the swatches I’ve seen always look gorgeous! ooh! 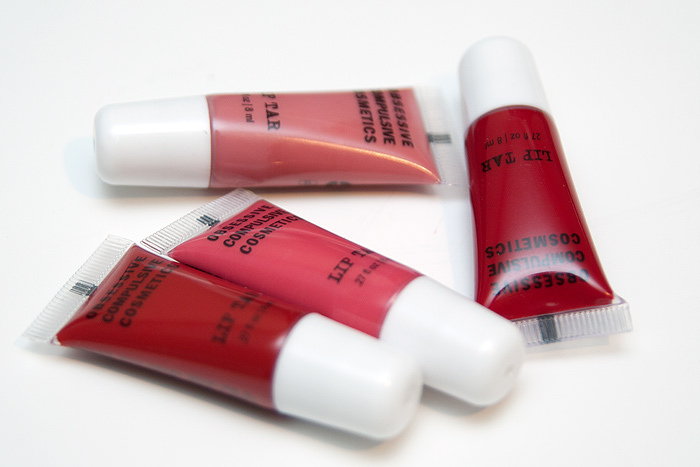 i’ve heard amazing things about the occ lip tars! i’ll definitely need to pick some up when imats get around to vancouver this year. also, how cute are those yaby eyeshadows?! Ooh I’m a sucker for palettes, I love my Unii ones. Can you only use this palette for Yaby eyeshadows? Hahaha I couldn’t get past the word “Flahoolick”! Man, I love that word! I’m going to use that word all week! The pink Inglot lipstick looks lovely! I can’t wait to see that one, even though I don’t know of a single place to buy it anywhere near where I live (I do like to test a lipstick myself before I buy it whenever possible). HAHA gruel is on the menu for the next few weeks I guess! lol. ( i actually laughed out loud) Ive been meaning to try some lip tars, if yuknow any affordable UK stockists let me know! You popped up in my “People You May Know” list on LinkedIn! I didn’t add you since it looks like you don’t go adding all of your followers, at least that’s my guess! I just wanted to let you know because I can’t imagine anything we have in common professionally so I was really surprised and delighted to see your face! Like running into an old friend at the supermarket or something. n_n Okay that’s all~~! 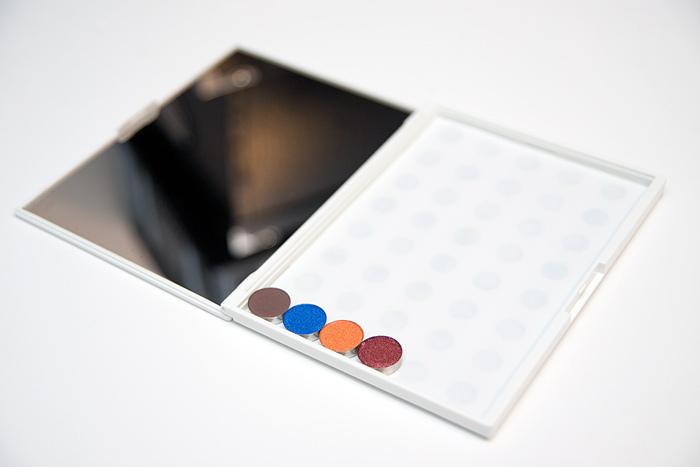 The shadows are teeny tiny… but they pack a lot of pigment and are priced to match their small size. Great haul! Don’t forget those OCC make killer blushers that last and last! You got the one Aqua Cream I’m lusting after!!! omg, that atiler paris fdtn… i used to use that a lot when i studied makeup (hey i got a student discount! haha) and its lovely when it comes to coverage but DEAR GOD DO NOT USE IT AFTER FRESHLY WASHING YOUR BRUSHES IT SMELLS LIKE BABY SICK!